Since the release of album “Evolve” on June 23, 2017, Imagine Dragons achieves another big success with its’ well-popular singles – “Believer”, “Thunder” and “Whatever It Takes”. 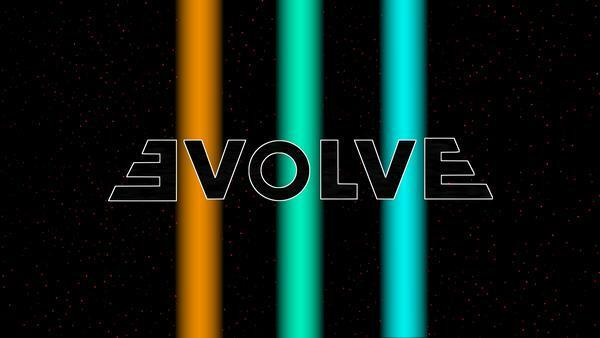 “Evolve” debuted at number two on US Billboard 200 with 109, 000 pure album sales. Are you a fan of Imagine Dragons? Here you will find a quick and easy way to download Imagine Dragons’ all songs in Evolve to MP3 by a powerful music downloader, making you rock all the time. At present, "Evolve" is available on both of the two dominant stremaing music services - Apple Music and Spotify. Here we will introduce how to download the songs from Apple Music. For Spotify users, please refer to Download Imagine Dragons' "Evolve" from Spotify for more details. As we all know, all the songs on Apple Music are protected in DRM. To download "Evolve" from Apple Music, we will have to remove the DRM first. By comparison, here we take the higly-acclaimed DRM removal tool - NoteBurner Apple Music Converter as the tool to get rid of the limitation. NoteBurner iTunes DRM Audio Converter is a professional Apple Music Converter specializing in downloading Apple Music, audiobooks or iTunes M4P Music to MP3, AAC, FLAC, WAV format with lossless quality. By applying this music downloader, you can easily download Imagine Dragons’ “Evolve” to MP3 or stream them to any other devices for offline listening. The following is the detailed tutorial to guide you to convert songs from Evolve on Apple Music to MP3. Please download NoteBurner Apple Music Converter first before we get started. Launch NoteBurner Apple Music Converter. Click button "+" and a pop-up window will show you all the songs you have downloaded from iTunes. Choose the songs you want to convert (eg: Believer, Thunder, Walking the Wire ...) and then press OK.
Click the "Setting" button on the upper right. Here you can customize the Output Path, Output Formats (MP3, AAC, FLAC, WAV) Conversion Speed, and etc. Click button "Convert" and all the songs in Imagine Dragons' Evolve you chose in Step 1 will be converted to MP3 and downloaded to the output folder you set in previous step.